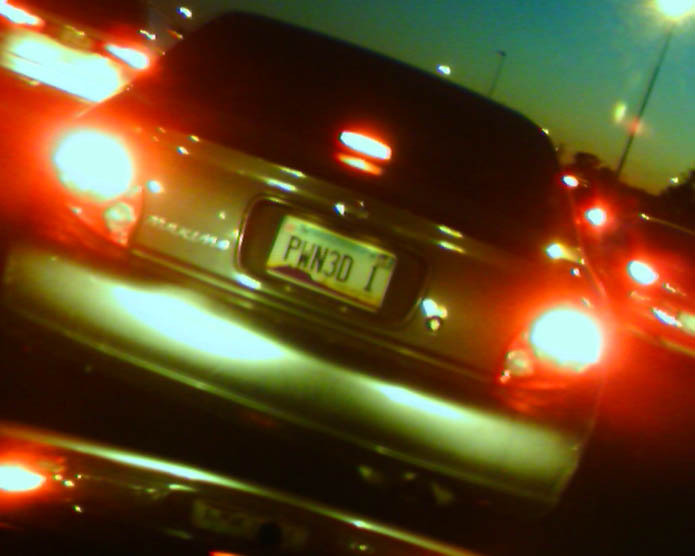 So I’m driving home from work the other day when I notice an interesting license plate. It gave me a good laugh and made me wish I had one. Though of course none of my friends or family would get it. If I had this license plate I would be cutting off people left and right.